The Green Bay Packers were founded in 1919 by Earl “Curly” Lambeau and George Whitney Calhoun. Lambeau solicited funds for uniforms from his employer, the Indian Packing Company. He was given $500 for uniforms and equipment on the condition that the team be named for its sponsor. The Green Bay Packers have played in their original city longer than any other team in the NFL. It is the only non-profit, community-owned major league professional sports team based in the US and they have won 13 league championships which is the most in NFL history. 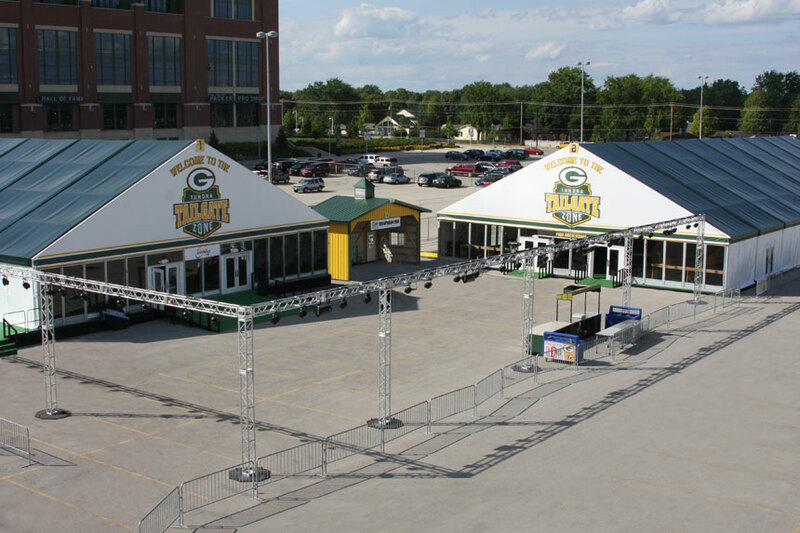 Each year, Arena Americas is proud to install structures at Lambeau Field for the Tundra Tailgate Zone to provide a heated environment for their pre-game celebrations and festivities. 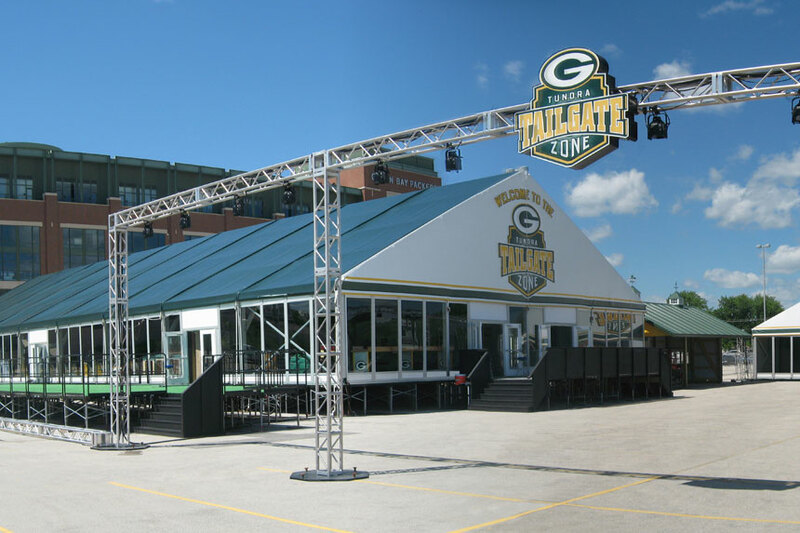 We collaborate with the Packers to install 26 degree snow-loaded clearspan structures with custom printed gables, colored tops, glass walls, HVAC, flooring and staging for the events. 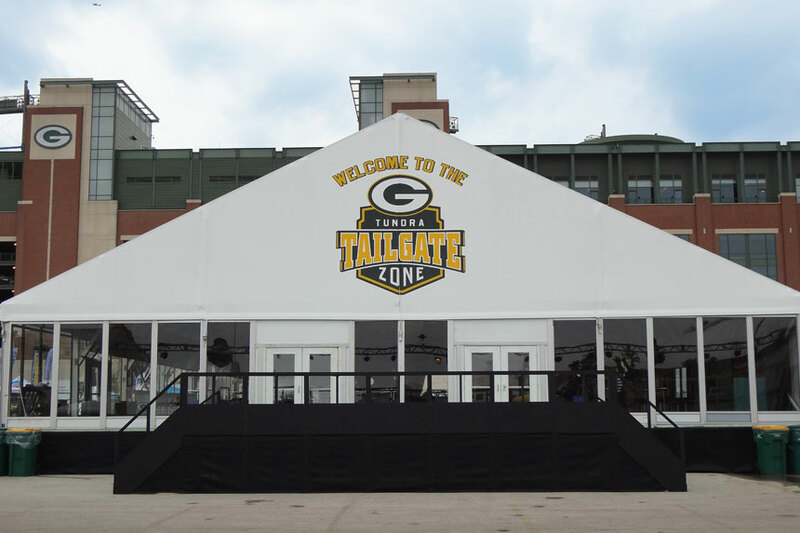 The Tundra Tailgate Zone is a fan hospitality area that is open to the public for all games and offers raffles, autographs, food & beverage, and live bands during Packers games. Since the weather during the football season in Wisconsin is typically very cold and snowy, we also service these structures on a continuous basis. Arena Americas has teamed up with the Packers for six years and we are looking forward to many more winning seasons with them!